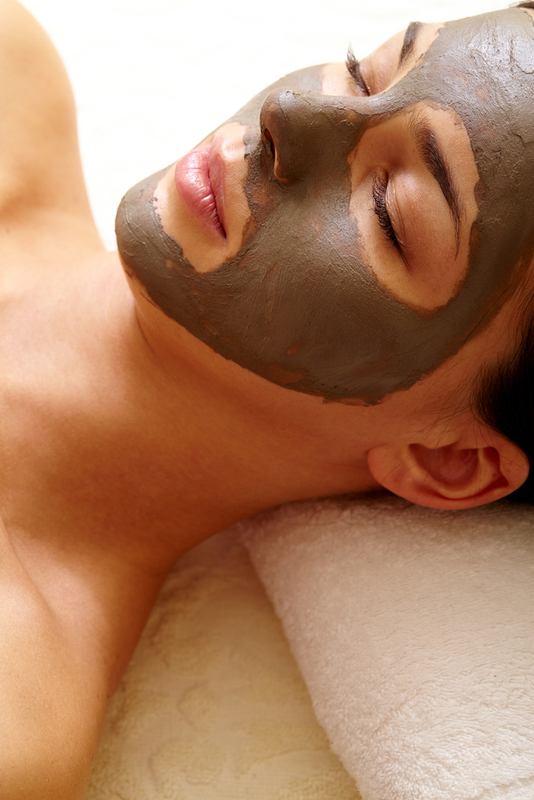 We offer additional services such as Facial Massage and Cocoon Body wrapping. Our popular facial massages include Facelift and Drainage which is excellent for anyone wanting relief from allergies, sinus issues, or just wanting to reduce the appearance of facial lines. This is excellent for lymphatic drainage as well. Our Targeted massage is perfect if you don’t have time for a full 1 hour massage or just have a specific area or muscular stress that you would like specifically targeted. The same amazing benefits of cupping but targeted to one area only. 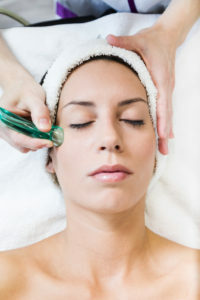 The face lift and drainage session is a full 30 min facial cupping massage. Some of the many benefits are increased circulation and absorption of nutrients to the skin, moving the lymphatic fluids to help drain sinuses, and reducing puffiness and edema. The drainage of stagnant fluids reduces the appearance of facial lines and wrinkles by plumping, as well as helping scar tissue to soften. The muscles of the face benefit greatly from the reduction of tension and tightness, releasing expression lines and loosening rigid muscle tissue. Facial cupping can provide significant therapeutic results from symptoms related to sinus infections, inflammation, edema and those suffering with TMJ disorders. Did we mention it is extremely relaxing and feels divine! Mud mask, gentle pore cleanser, hot towel, moisturizer, and massage! This leaves the skin feeling smooth and completely renewed. A total foot massage for anyone who spends time on their feet and needs extra care taken to help them be revived and ready for life! Our total foot massage to accommodate those tired aching feet as well as a foot soak, a foot scrub, and hot towels. Its the ultimate experience for anyone who loves to have their feet massaged. This service is designed to separate fused tissue layers and drain lymph nodes, providing a smoother appearance and a healthier glow. A very light suction provides drainage, while a heavier suction stimulates circulation, loosening adhesions or “dimpling”. Successful and enjoyable body contouring with lasting results is possible!